Washer Toss is a classic outdoor game that will generate hours of friendly competition. Have tons of fun at any outdoor event. 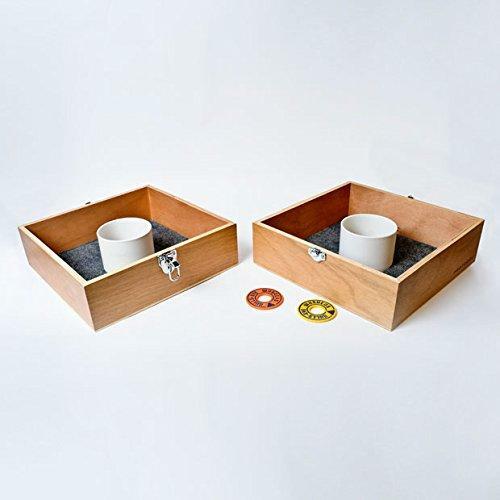 Players score points by tossing washers into the box or cup (center piece): one point for a washer that lands in the box, and three points for a washer that lands in the cup. The first person to score 21 points wins.